Mahindra & Mahindra (M&M), India’s leading manufacturer of utility vehicles and part of the US$ 20.7 billion Mahindra Group, today announced its commitment to become a carbon- neutral company by 2040. Mahindra will focus on energy efficiency and the use of renewable power to achieve this target. Residual emissions will be addressed through carbon sinks. "Targets based on science are the only effective way to meet the challenges we face," added Mahindra. 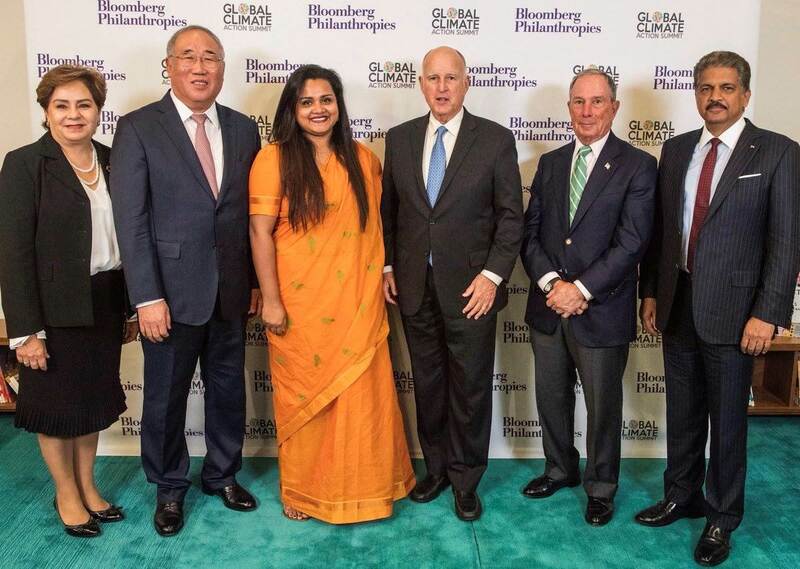 L-R: The GCAS co- chairs -- Patricia Espinosa, UNFCCC executive secretary; Xie Zhenhua, special representative for Climate Change Affairs of China; Jayathma Wickramanayake, the UN Secretary-General’s Envoy on Youth; Jerry Brown, Governor of California; Michael Bloomberg, UN Secretary-General’s Special Envoy for Climate Action and Anand Mahindra, Chairman, Mahindra Group. M&M says it will be working on its carbon neutrality commitment with the international non-profit organisation Environmental Defense Fund (EDF), which works with leading companies to raise the bar for corporate sustainability leadership. It will continue to work with EDF and other leading partners as it implements actions towards achieving carbon neutrality.